It’s solo game time. In this episode Ryan and I are talking about some very good solo games. I have reviews for Van Ryder Games’ Captive and Desolate from Grey Gnome Games. 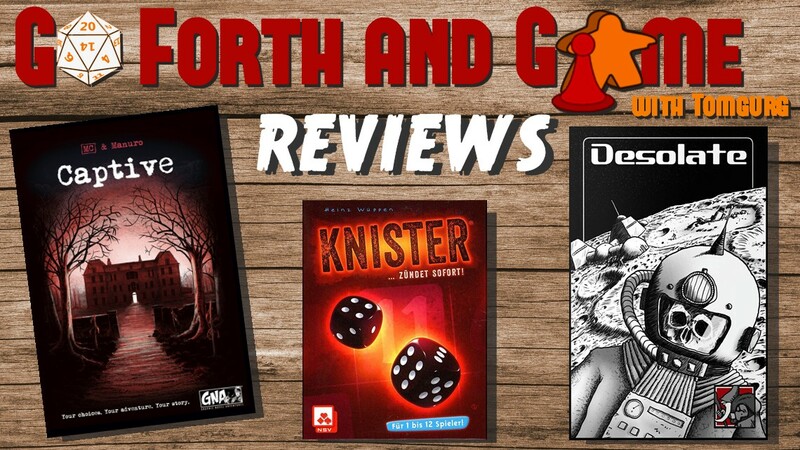 Ryan gives us his thoughts on Knister, a neat roll and write. 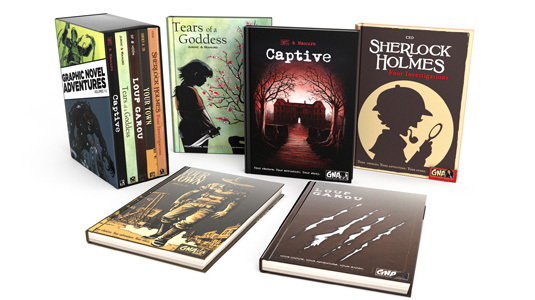 Captive is one of VRG’s Graphic Novel Adventures books. These are fantastic solo games that A.J. Porfirio and I talked about in these games on the show – Part 1 and Part 2. You can pick up these games at the VRG website or your FLGS. Desolate is a science fiction themed solo game from Jason Glover. We are hoping to have Jason on in 2019 to talk about it and his upcoming expansion of the game to multiple players. You can get Desolate at Grey Gnome Games, The Game Crafter, PNPArcade, or your FLGS. Knister is a straight forward roll and write. It is harder to find than the other games but here are a few links – here and here. The conversations with AJ continues as we discuss Graphic Novel Adventures and their future, a bit more about the popularity of solo gaming, and what Van Ryder Games has coming in the future. I’d love to hear from you! Leave comments below or on Twitter – @tomgurg. Or record some audio and send it to goforthandgame@gmail.com. We will use it on a future show.